grown in Israel and marketed under the brand name Jaffa. Not everyone in Europe is aware of all the varieties of citrus fruit produced by Jaffa. The citrus fruit described below are those found in Nordic supermarkets. Jaffa Sweetie is a similar cross to the American Oroblanco. It is a cross of grapefruit and pomelo made in Israel and released for sale in 1984. In shape and juiciness the fruit resembles grapefruit, but tastes as sweet as a pomelo. The skin is dark green in the beginning of the season and gradually changes to bright yellow. The fruit is unique in being sweet, yet low in calories (24 to 40 calories in one fruit). The sweetness is not due to an excess of sugar, but to lack of acid and there fore it can be eaten without gaining weight. Available in stores from mid-September to March. 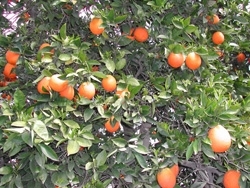 The Israeli growers call the Marsh variety Jaffa White Grapefruit. Marsh was discovered in Florida as a spontaneous seedling in 1860. Because the fruit of the three original seedlings were seedless the new variety was propagated in a nursery and Marsh soon became the most popular new cultivar to be planted. 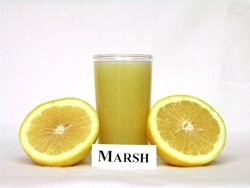 Today Marsh is the leading variety not only in Florida where it originated but also in California, Texas, Arizona, South America, Australia, South Africa, Israel and India. The fruit is almost completely round, very juicy and rich in flavour. Marsh is medium to late in the season, holds well on the tree and keeps well after harvest. Marsh needs a lot of heat and thrives in hot climates. It is also highly sensitive to frost. 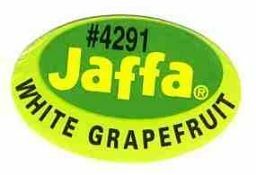 Jaffa White Grapefruit is available throughout the year. Sunrise is the name Israeli growers use of the Star Ruby variety. Star Ruby thrives in Israel. As the fruit keeps well on the trees for several months without loss of quality, Sunrise and Jaffa Sunrise grapefruit can be found in European supermarkets from early autumn until late spring. The Texan Star Ruby is a demanding variety to grow. It needs steady heat and humidity but does not tolerate extreme high temperatures or drought. It is susceptible to infections, pests and cold weather. It is less vigorous than other varieties, grows slowly and the tree and fruit remain smaller than other grapefruit types. However, in suitable conditions the tree produces attractive red blushed fruit. The flesh and juice are strongly pigmented, up to three times more colourful than 'Ruby Red', and have a bit more sugar and acid. The fruit is low-seeded or seedless and has a very good flavour. Available is stores from November to May. Shamouti, also known as Palestine Jaffa, is believed to have developed as a branch sport from an earlier variety called Beledi near the town of Jaffa, Palestine in 1844. The peel is thick but comes off easily in segments. The fruit is juicy, with a distinct flavour and of good quality. Unfortunately it has proven to be susceptible to disease outside its native area and recently it has been planted less often. It is still the number one variety in Israel and Lebanon, number two in Syria. Israeli producers have sold Shamouti budwood to Spanish growers and they have permission to use the Jaffa name (which is an Israeli trademark) for fruit of Israeli origin. Two later varieties have the same Palestine origin, Jaffa and Joppa, both introduced to the United States in the 1880's. The US Jaffa is often called Florida Jaffa as opposed to the Palestine Jaffa or Shamouti of Israel. The Jaffa orange that is best known in many European countries is usually Shamouti and often the fruit carry a small sticker with the name Jaffa Shamouti (bottom picture). 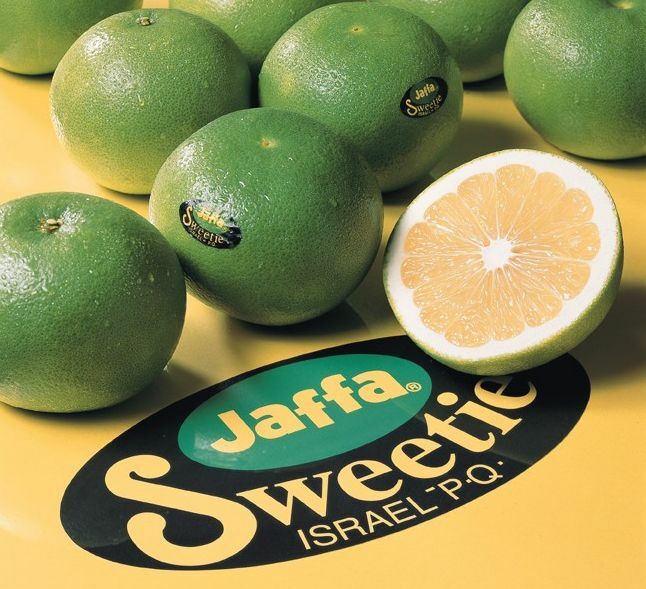 The Jaffa trademark, under which the Israeli citrus producers sell their fruit, covers several other citrus fruit as well and later orange varieties include Jaffa Navel and Jaffa Valencia. Shamouti is also known as: Cyprus Oval, Palestine Jaffa, Ronde and Chamouti Yaffaoui. Valencia is the world's most important orange variety. It is a major variety in Florida, California, South Africa and Australia. Over 50% of the production is pressed for juice. Valencia grows well, is easy to cultivate and very productive. The fruit is of a high quality and seedless. The peel is thin and the pulp is tender and very juicy. Valencia is a late variety and keeps well on the tree. It can be picked until late spring, or even early summer, which prolongs the season and increases productivity. Valencia is one of the oranges that also thrive in the tropics. The fruit are of a high quality but in the heat the colour break does not occur and the fruit still remain greenish when fully ripe. Producers treat the fruit with a gas to make the colour more attractive to the consumer. 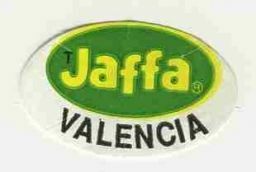 Jaffa Valencia is in season from March to June. The Israeli growers call their navel oranges Jaffa Navel. Navel oranges, a.k.a. Bahia oranges, get their name from the navel-like protrusion at the lower end of the fruit. It is actually a secondary embryo inside the same fruit. Navel oranges have no functioning pollen. They do not cross-pollinate with other citruses and produce seedless fruit. Navel oranges are propagated from budwood and recently by cloning. Cloning is the most cost-effective way of propagation especially in developing countries. Many navel varieties grow somewhat slower and smaller than other orange varieties. 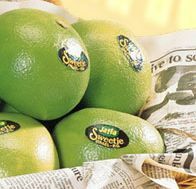 Navels are thought to have originated in Brazil. The season of Jaffa Navel oranges continues from October to January. Tangelos are hybrids of grapefruit and mandarin. Minneola is a hybrid of Duncan grapefruit and Dancy tangerine produced in Florida by the U.S. Department of Agriculture and named and released in 1931. Its attractive colour, excellent flavour, and low seed content have made it popular. Minneola can readily be recognized by its typical 'neck'. Rind colour is deep reddish-orange; medium-thin, with smooth, finely pitted surface and moderately adherent skin. Flesh orange-coloured, tender, juicy, aromatic; flavour rich and tart. Medium late in maturity. Minneola is also known as Honeybell. Jaffa Red Pomelo is the name Israeli citrus growers use of the Chandler variety. Chandler is a cross between the Siamese Sweet and Siamese Pink pomelos. It originated in Riverside, California. The fruit is an almost perfect globe, very big and it sometimes has a pinkish tinge in the flesh as well as on the rind. The colour depends on climate and soil conditions. The skin of Jaffa Red Pomelo often remains quite green. However, the flesh is often of a deeper red colour than other Chandler varieties. Jaffa Red is also bigger than other pomelos. The taste is sweet and Jaffa Red is suits those who find other citrus fruit too sour. Available in stores from September to December. Did you see a Jaffa citrus fruit in your shop but did not find it on this page? Give the name or describe the fruit and send your message to Citrus Pages.